Booking is very easy - on each tour date advertised there is a link to the online booking form which takes credit/debit cards and offers a range of ticket formats including paper and e-ticket. Customers can also go to our local Visit Scotland hub in Union Street to purchase tickets in person. Online booking does incur a fee, whereas Visit Scotland do not charge any additional sums. Ticket prices for 2019 are STILL £10 adults / £8 concession for the walking tours, and only £5 each for mini-tours - other events are priced individually. Hidden Aberdeen Tours is Aberdeen's premier walking tour company, founded in 2011, offering walks on various historical themes including the Blitz, Medieval Aberdeen, Lost Cinemas etc. We aim to present the city's local history in an entertaining manner suitable for both resident and visitor. We also offer indoor storytelling sessions on the darker aspects of the city's history set in suitably atmospheric venues. Working with Grampian Association of Storytellers, we present fact and folklore and celebrate NE Scotland's oral traditions, by presenting in Doric, our local Scots dialect. If your group would like a private tour, please get in touch - we offer most of our walks for groups from 8 people up to 40. We have a special rate for small groups of 3-7 people which you can find in the Private Bookings tab. Interested in just a general tour of local history? We have a special route just for private groups beginning at Aberdeen's Maritime Museum and ending at the Castlegate near the local hostelries, so you can enjoy fine food and drink afterwards. Business Partnerships - Hidden Aberdeen works with local cafes, bars and hotels to bring you one-off storytelling sessions, theatrical shows and history talks, which mean customers score twice! We hold events in the likes of Inn at the Park, Ferryhill, the Carmelite Hotel, in Stirling Street near the historic Green (both family-run hotels); pubs such as Ma Cameron's, indie coffee shop, the Cult of Coffee in Rosemount, various community centres, and from 2019, the Academy of Expressive Arts in Gaelic Lane, run by Shanna Logan, local quine who trained as an actress in London, now back to pass on her skills to the next generation. More Information in our Projects section. A new mini-tour set in Ferryhill's pleasure park, which was given to the city by Miss Elizabeth Crombie Duthie in 1881. Duthie Park is full of artefacts, stories, and scenes. Including the intriguing tale of how the council acquired the lands of Arthurseat and the disappearance of its owner, Arthur Williamson in the Australian bush! Developed from the full length Rosemount Ramble, focusing on the hidden gem of Mackie Place, the 18th century cul-de-sac owned by hide-skinner, Robert Mackie, who commissioned the distinctive ogee-shaped "White House" and the remaining tenement of no's 4-5, and Jack's Brae. Three hundred years of history in 60min! 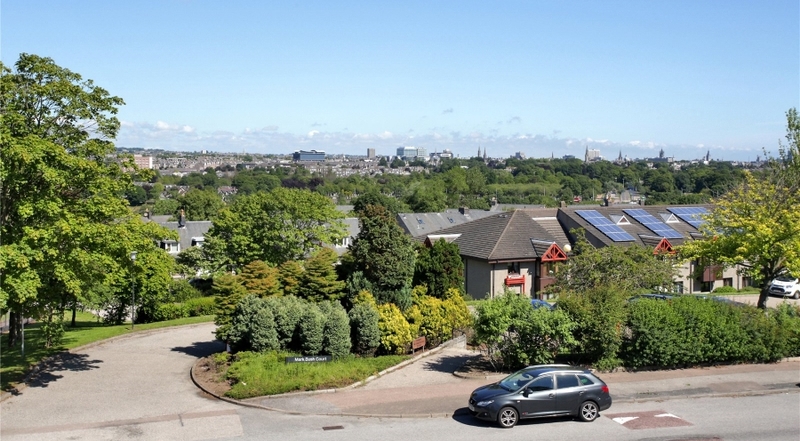 Beginning outside the University Library, what was the heart of the Powis estate, we follow the watercourses of the medieval landscape through the Chanonry, into Seaton Park and walk along the River Don, uncovering lost and forgotten stories of the Auld Toun's main water source. Ending at Brig o' Balgownie where there is always wildlife to see by the bridge, we conclude this nature and history walk through one of our truly hidden spaces. Full-length run of this popular tour! Beginning at St Clement’s Kirk, the old Parish Church of Fittie, (Fittie, never Footdee, an over-correction of the old Celtic word for a sheepfold) we take a walk through the forgotten areas now dominated by the harbour precinct. Learn about the origins of Aberdeen’s most ancient fishing community, dating back to the 12th century when the fishers of Pockraw were the tenants of the Bishops of Old Aberdeen and looking into its rebirth as the city’s first Victorian council estate, and home to the city’s most famous shipyard, Hall Russell’s. And then on to the famous Fisher Squares, built 1807-09, designed by city architect, John Smith (aka Tudor Johnny). Revival of an old tour, looking at our city's famous dead. The Kirk of St Nicholas, affectionately known as 'the Mither Kirk', being the earliest known church in the city, hosts the graves of many famous sons and daughters of Aberdeen, including architects, academics, showmen, medics, ministers, philanthropists and body-snatchers to mention but a few! We hope to create more graveyard tours soon, Trinity, St Machar, St Fitticks, Nigg, are all on my list! Beginning in Rosemount, we drop down to the lost artisan street of Hardweird at the foot of Jack's Brae where several different mill workings were based. Then, we pass the iconic art deco Rosemount Square, once the site of a jam factory which has links with a London-based football team! Down into Gilcomston, there are many sites to investigate including Broadfords and the various mills, distillery and brewery which made use of the streams which originally fed the old loch of Aberdeen. We then focus on Hutcheon Street and the Gallowgate, which include the Combworks, the Porthill Factory, 'Soapy' Ogstons and the McKinnon Ironworks of Spring Garden. We round off with one of the most weel-kent sites, "Soapy" Ogston's or Ogston & Tennant Soap & Candle manufacturers. A must for industrial history fans! A fairly strenuous walk, wear sensible shoes! TICKETS: Adults £10/ Concessions £8; click HERE to book online or in person at Visit Scotland, Shiprow. Div ye mind gaun tae the picters? Paying with jam jars? Saturday morning specials? Then this tour is bound to appeal! Meeting outside the old Odeon, Justice Mill Lane, which started life as one of Aberdeen's many silver screens from the age of cinema, this tour takes you on a journey into cinematic history, recalling the early days to the high point of the 40s and 50s to the sad decline of our picture palaces to leave us with only four functioning cinemas out of a previous total of around 35. We can't promise to cover them all, but the selection on the walk represents the Union St cluster of the city's picture houses, 'flechy' or otherwise! A zip through Old Aberdeen's history comparing the 20th century and medieval quadrangles, hearing the stories of Elphinstone Hall, New Kings and 16th century Kings College; visit the hidden remains of the 15th century Snow Kirk and the tales attached to the post-Reformation Powis estate represented today by the impressive gates which replicated the former towers in the old quad. A brand-new addition to our mini-tours series; beginning on Pocra Quay near the site of the original Block House, a stone fort first erected in the 15th century to protect the city from "English invaders", we follow the fall and rise of the fisher residents of the Kirktoun of Futty, who forced the council into providing them a new home when harbour development threatened to obliterate the old village of Pockraw in the late 18th century. Featuring the picturesque Fisher Squares, designed by city architect, John Smith aka "Tudor Johnny", who also designed the new St Clements' Kirk in 1828. A ramblers' special, our longest walk at 3.16 miles - therefore fairly strenuous and not suitable for those with mobility problems. 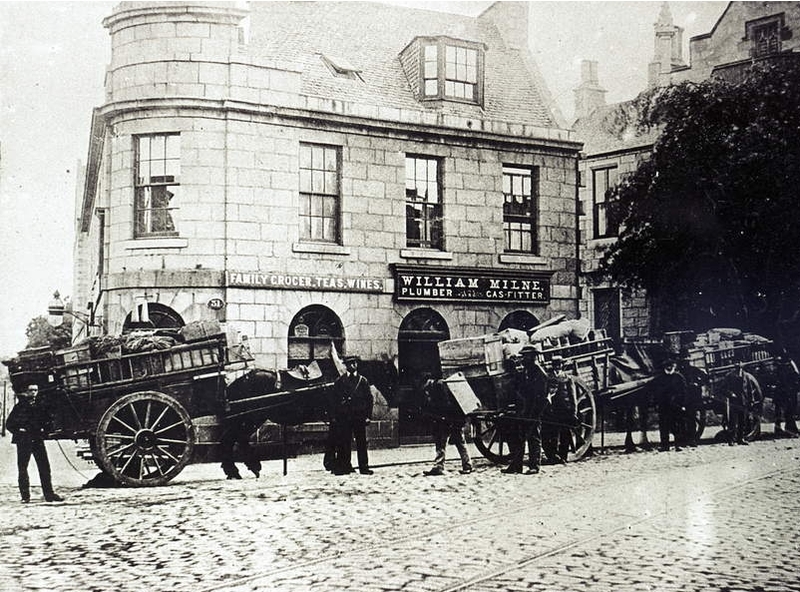 We begin at the foot of Sinclair Road, near the heart of the old fisher village, once an independent royal burgh, now a forgotten suburb, come and learn the stories and history of the former Kincardineshire settlement, which finally became part of Aberdeen City in 1891. Including, Torry's early times as property of the Abbot of Arbroath, the lost fisher village, which suffered demolition twice, once in 1872 as a result of the Dee's reroute, and once in 1971, when the oil industry swept all before it. There's the sad story of the sinking of the Oscar, the superstitions of the fisherfolk who defied the kirk to carry out old rituals, and the development of Victoria Road following the herring boom. Full details HERE. Union Street represented the break with and indeed the destruction of the medieval city as it cut through the old, crowded streets and lead the way to a new development at the far side of the Denburn Valley which had once been the border of the burgh. 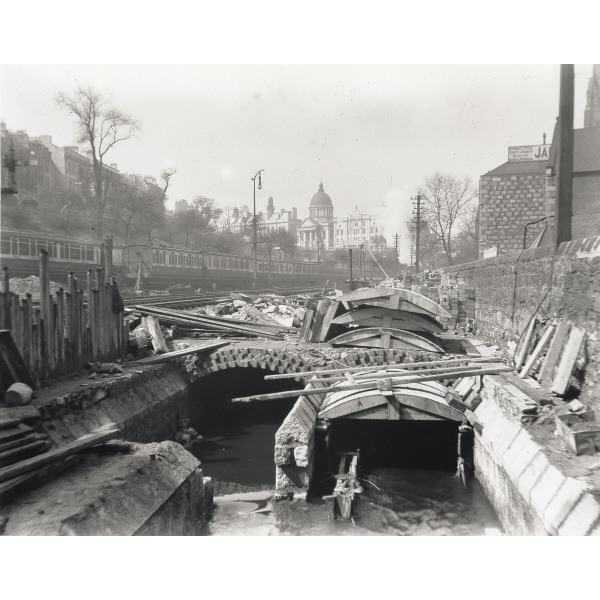 This tour aims to show a little of what was there before, including a look at the vaults, the piers which hold up our main street, as well as explaining the fight the business community had to persuade the council to go ahead with this new development. Full details HERE. N.B. Turning the tour route on its head, we start at Marischal College this time, and END at Gerard St!! First in a series of four, covering "Aberdeen's Borderlands". 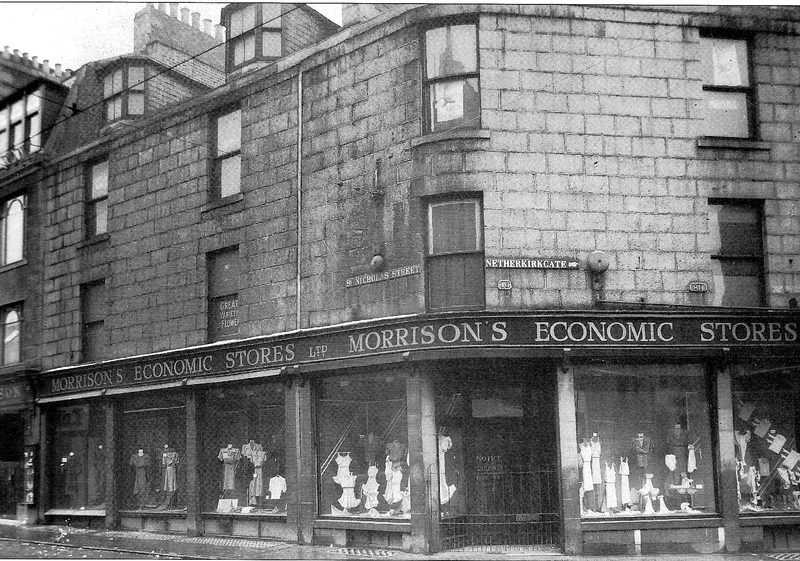 The Gallowgate represented the way to the city's Northern border, Mounthooly, as Aberdon was a separate burgh until 1891. From its earliest origins as the first site of civic executions to the home of the city's earliest thread mill, Porthill, the Gallowgate has changed rapidly through time. 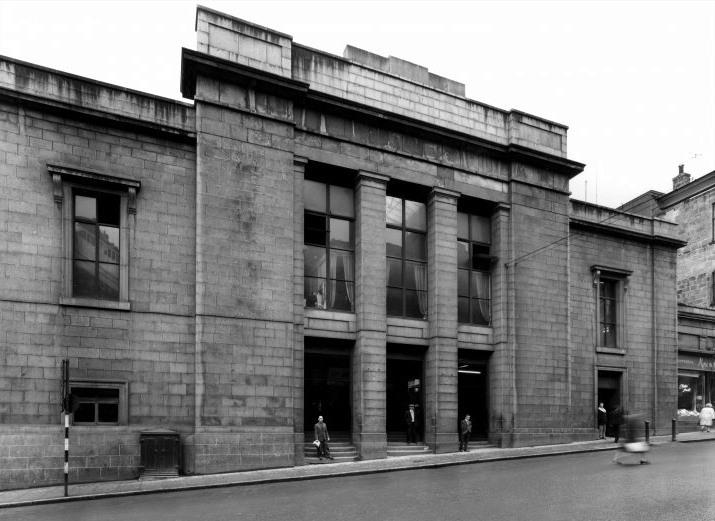 Gallowgate hides many secrets, we will attempt to reveal some on this tour. Full details HERE. Learn about the 'Aultoun' and its buildings, from the medieval Snow Kirk and Kings College to the artisan housing of the 18th and 19th century, and the hidden secrets of the university campus, including the secret Snow Kirk, the Macrobert Memorial Garden, and the delightful 18th century buildings of the Chanonry. Bishop Elphinstone was the founder of Kings College, little did he know at the end of the 15th century that many centuries of building of both sacred and secular kinds would rise up around his new university, and that the Protestant troops of General Monck would destroy St Machar Cathedral with their scavenging for stones to build up their hastily-planned fort on Castlehill in the New Town. For anyone who ever wondered 'if walls could talk...'! Second in our series of "Borderlands" tours; looking at King Street, laid out 1808-10, opening up the new-look Georgian town and studded with silvery granite edifices designed by the city's two top architects, John Smith and Archibald Simpson. But nearby were all the reminders of the burgh's gritty past; Shuttle Lane, home of thieves and hoors; the Modeller, home to vagrants and alcoholics; and the fears of what went on behind closed doors at the Medico-Chirurgical Hall. There were innovations to follow, Tudor Johnny's own home was later used as the city's very first eye clinic before it moved to Woolmanhill; the North Kirk transformed into the Arts Centre, and the city's doyen of children's drama, Catherine Hollingworth began the Children's Theatre in an old Victorian mansion, now connected to both the Arts Centre and Archie Simpson House. Packed with other wee gems of forgotten history, this walk will bring back the lost landscape of the 1800s and early 1900s when King St was a proud showpiece of its north-eastern border. New dates will be added very soon! Please note, if dates are not shown it means there are no tours planned yet for those dates or they are free for private bookings. We are going to be delivering the full series of our reminscence talks starting in November at local council sheltered housing complex, Mark Bush Court in Kincorth. The residents have a very busy social calendar and are always on the look out for interesting visitors. Dr Fiona-Jane Brown, our director will be presenting the talks including "Lost Shops", "Lost Cinemas", "The Blitz", "A Virtual Pub Crawl of Aberdeen", "Dancehalls and Ballrooms", "Trams, Buses and Trains", and "Sneezes, Wheezes and Diseases", the potted history of our local medical services. Residents pay a small fee to cover their entertainments, but anyone willing to sponsor these sessions to allow them to build up their event kitty would be most welcome! Our newly updated listing with VISIT ABERDEENSHIRE is now live. Our friends at this local tourism promotion agency have been snowed under with updates to their business pages, so if you've recently visited it and found obsolete information, it's now been fixed! Click HERE to view and let us know if you spot any errors in future! 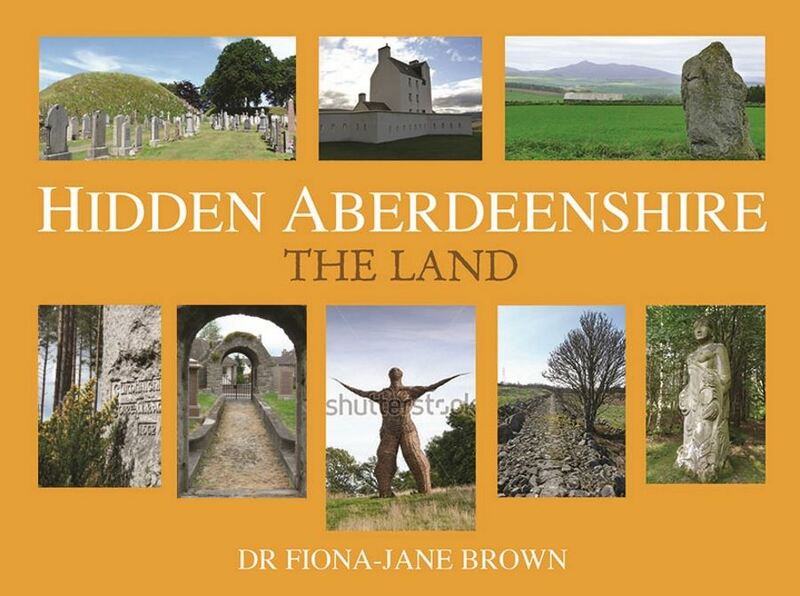 Dr Fiona-Jane Brown, director of Hidden Aberdeen Tours has published three books on local history in the city and shire. BACK IN PRINT AFTER AN 18 MONTH ABSENCE!! Publishers, Black & White of Edinburgh have finally been able to bring back this very popular original local history book which was inspired by the walking tours and Dr Fiona-Jane Brown's blog which was hosted by STV Aberdeen way back in 2012! Due back in bookshops by mid-June 2017! Aberdeen is rich in history, much of it hidden. Now, in Hidden Aberdeen, Dr Fiona-Jane Brown explores the city through new eyes, revealing new stories from the past and bringing the modern city to life. There's the last resting place of Robert Hitchens, who was at the wheel of the Titanic when it struck an iceberg; Royal connections including the Old Pretender, James Francis Edward Stuart's visit to local ship owner, Skipper Scott, when he discovered from his commander, the Earl of Mar, that all was not well with the Jacobite Army; the brutal murder of a monk by so-called reformers and the strange nineteenth-century animal cruelty case against the city's Jewish community. There's also the city's intriguing connection with Millwall FC and the place where medieval criminals were hanged. This fascinating book will open your eyes to the hidden, the forgotten and the abandoned which lie under your feet as you walk round the city today. 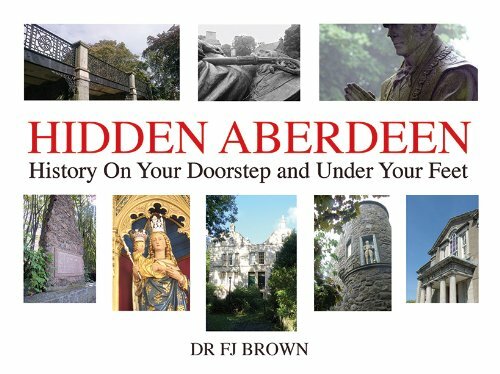 Hidden Aberdeen: History on your Doorstep and Under Your Feet is the first local history publication from Dr Fiona-Jane Brown, founder of Hidden Aberdeen Tours. Following on from the bestselling Hidden Aberdeen, Fiona-Jane Brown now presents a brand new volume, Hidden Aberdeenshire: The Coast, exploring the rich history and the most fascinating, quirky stories from the windswept lands beside the North Sea. There's the story of James Keith, brother of the 10th Earl or Marischal, whose statue stands in Peterhead - but few know why; Captain Gray's House, where Sir Arthur Conan Doyle took up a post as ship's surgeon on a whaler owned by one of the most successful whaling captains of the nineteenth century; the tale of the Frasers, the family who lost their castle and generations later reclaimed it; the mystery of the university that never was; plus many more. 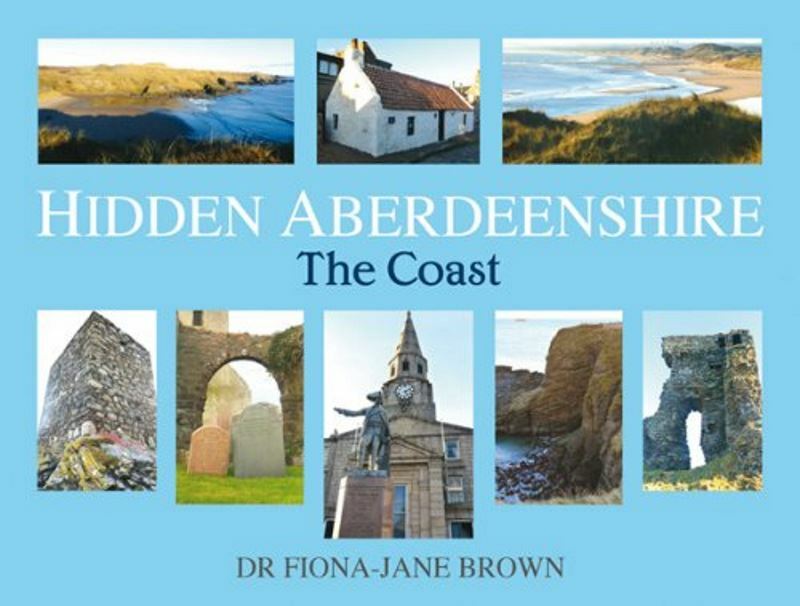 Hidden Aberdeenshire: The Coast is a fascinating and entertaining collection of forgotten history and anecdotes from Scotland's North-East, pieced together by historian Dr Fiona-Jane Brown. Following on from Hidden Aberdeenshire: The Coast, this new volume moves inland to tell the stories of the countryside, from the fertile farmland of Buchan to the high peaks of the Cairngorm Mountains. Visit Macbeth's reputed grave at Lumphanan, where he was supposedly buried by his supporters after being killed by Malcolm Canmore, later Malcolm III of Scotland; meet the Maiden Stone's forgotten companion, the larger-than-life Persephone sculpture, near the foot of Bennachie and learn the significance of the Kintore Arms Public House to a terrible murder back in 1863. Come and visit the two most fascinating burials in Braemar cemetery, of poor crofter, Peter Grant who fought at Culloden and outlived Bonnie Prince Charlie, and the Black Colonel, John Farquharson of lnverey, who made his "bed" in the rocks above his castle, but did not lie peaceful in his grave after death. Learn about Trooper Smart of Kintore who died in South Africa as a result of a lion attack; the hidden stone circle discovered in Methlick Wood by a local dowser and Wormy Hillock, an early site of Pagan worship near Rhynie. Join historian and guide Dr Fiona-Jane Brown for these and many more quirky, forgotten and hidden tales, this time from Aberdeenshire's landward districts. Hidden Aberdeen Tours (founded 2011) is wholly owned by Dr Fiona-Jane Brown as a sole-trading operation which occasionally works with contractors.